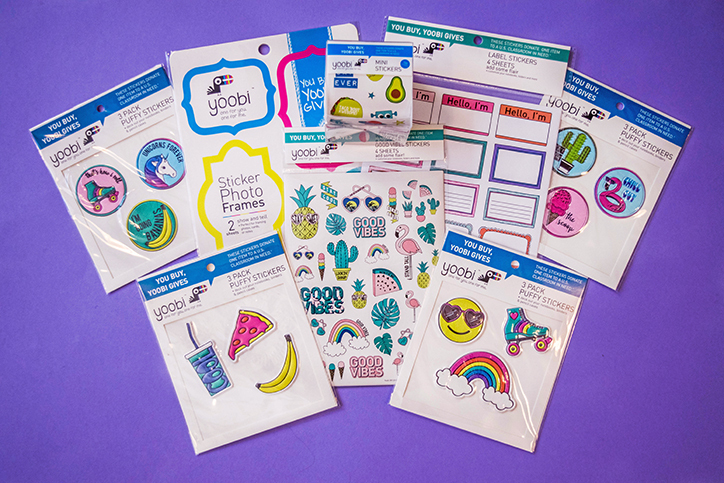 Ignite Your Creativity With Our National Sticker Day Giveaway | YAYOMG! NOTE: The items in our Sticker Day Giveaway were provided by Fashion Angels, OOLY, and Yoobi. No money was exchanged, and all opinions are our own. We reached out to these brands for the giveaway because they create products we love. Today is National Sticker Day, and we’re celebrating in a big way – by giving YOU lots of stickers! 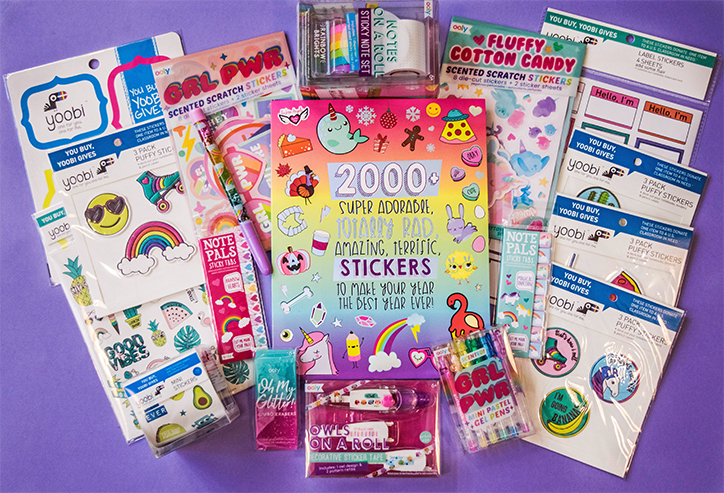 We teamed up with some of our favorite brands to bring you an epic Sticker Day Giveaway that includes everything from stickers to labels to sticky notes. Growing up, we were sticker obsessed, and we know that a lot of our readers are too. (Let’s be honest, we still are – our collection rivals the sticker aisle at any craft store). We’re not just giving you a swoon-worthy sticker prize pack; we’re showing you lots of ways to put all your new stuff to good use! 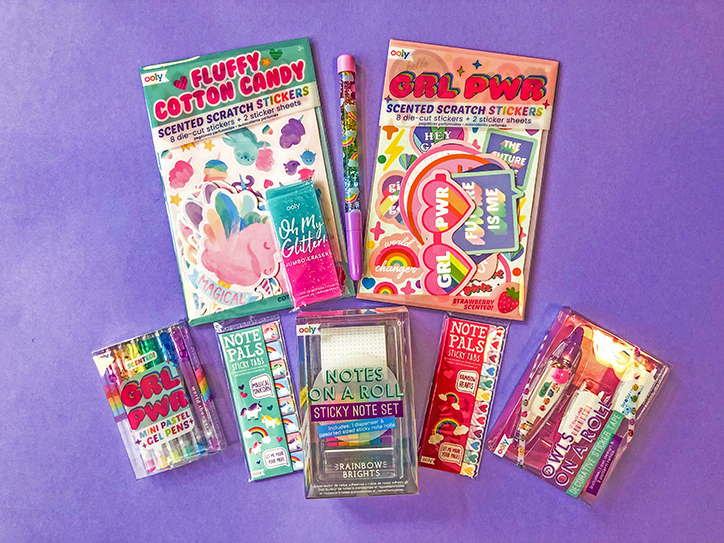 From finding your planner peace to personalizing everything under the sun, this fantastic prize pack will inspire you to let your creativity run wild. No matter how you choose to get your sticker on, *raises glass*, this day (and this giveaway) is for you! 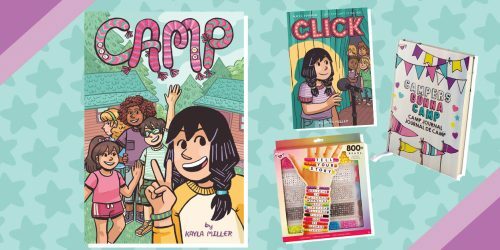 Keep on reading for lots of fun ways to celebrate National Sticker Day and enter to win our Sticker Day Giveaway! 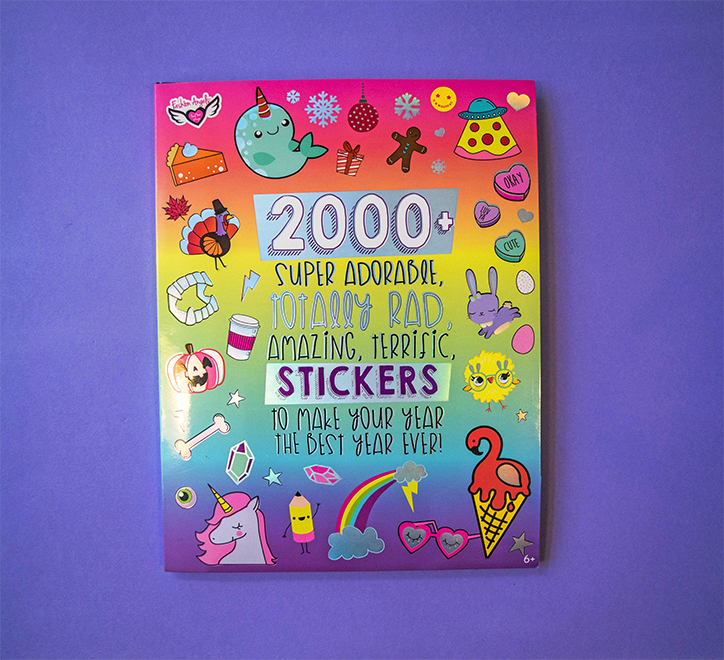 This colorful sticker book from Fashion Angels comes with over 2000 adorable stickers! Sorted by theme, you’ll find just about every sticker you could ever dream of within the pages of this book. Get organized with the to-do list and label stickers and bring life to your otherwise dull study notes. Use the season stickers to decorate your DIYs or create amazing handmade cards for any occasion. 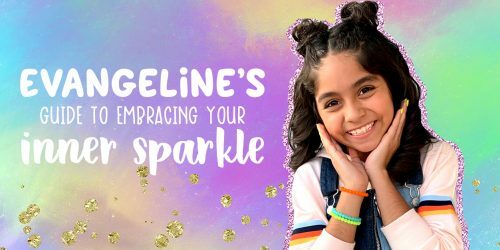 Express your personality with everything from narwhals to pizza slices, allowing you to dress up an otherwise dull folder, locker, planner, or anything else you can stick your stickers on! Share them with your BFFs and customize your life any way you want. With this many stickers in your arsenal, anything is possible! 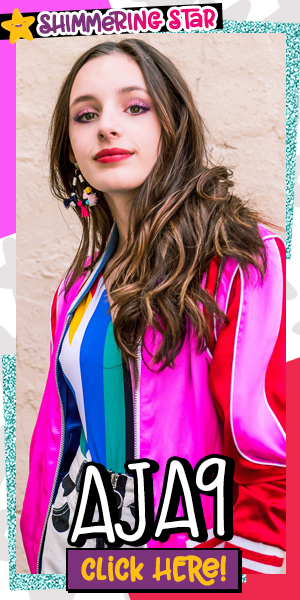 Our friends at OOLY know how to keep it trendy while encouraging you to channel your inner DIY diva and find your happy. The best part? A lot of these items are brand new for Spring, meaning you’ll be keeping it super chic, too! Who says getting organized couldn’t be totally cute? No matter what your goals are for 2019, all of these amazing goodies will help you plan and crush them in style! Note Pals are great for keeping your place while studying or marking essential pages in your planner that you always return to. Make your bullet journal pop by adding Owls on a Roll sticker tape to add borders to your spreads. Then, make them shine bright by using the colorful (and scented) mini pastel gel pens. Make a mistake? The jumbo-sized ombre glitter eraser is always ready to help you start fresh. Our favs? The oversized GRL PWR and Fluffy Cotton Candy stickers. They smell amazing and boast such gorgeous colors. Yoobi is all about giving back, which is why their motto is “You Buy, We Give.” With every purchase of a Yoobi product, they donate to schools and kids who are in need of supplies. Their mission is so inspiring, and we think that these items in our prize pack are worth sharing with a friend! Use the Sticker Photo Frames to create an awesome photo craft for your bestie. Have a sleepover with your friends and decorate your notebooks and supplies together so you can all rock the halls in style. Every time you look down at your stuff in class, you’ll be reminded of the amazing day you shared together! No matter how you decide to use your new goodies, you’re sure to create something incredible and share-worthy! Retail value of the prize is approximately $76.32. All prizes generously provided by the brands listed above. You must be 18 or older to enter. If you are under 18, please have a parent or guardian enter for you by filling out the form below by January 13! Giveaway begins on January 13, 2019 at 12:00 pm ET and ends on January 27, 2019 at 11:59pm ET. Open to US residents ONLY. Please, only ONE entry per person. Now that you’re celebrating National Sticker Day in style, enter to win our Bland Sisters Giveaway for your chance to win a SIGNED copy of The Unintentional Adventures of the Bland Sisters: Flight of the Bluebird!